Born in Riga in 1984, pianist Konstantin Semilakovs is laureate of the First Prize of the International Piano Competition in Porto, Portugal and prizewinner of the Competition for Young Pianists Ettlingen, Germany. 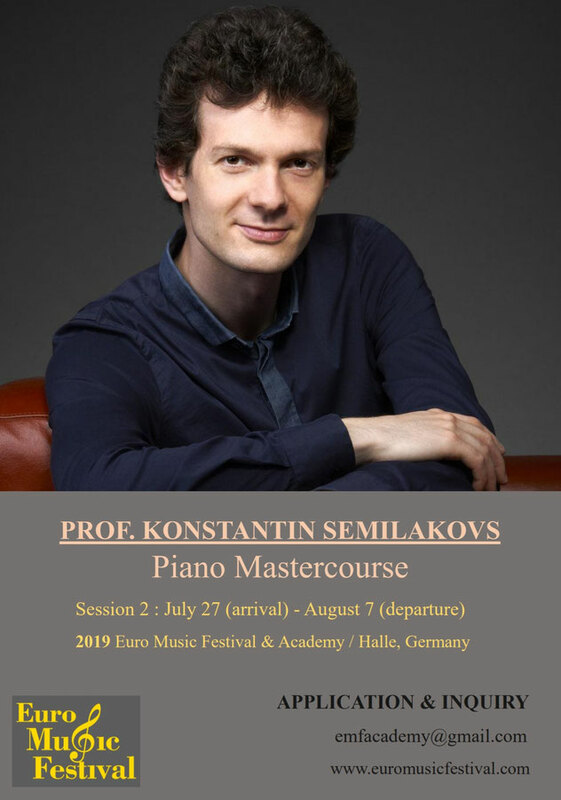 Konstantin Semilakovs has performed in recital and chamber music concerts at the International Beethoven Festival Bonn, the Frankfurt Musikmesse, the Braunschweig Classix Festival, the Schleswig-Holstein and Mecklenburg-Vorpommern Music Festivals. He debuted with the Nuremberg Symphony Orchestra and Beethoven's Choral Fantasy at the Meistersingerhalle. He was awarded the Klassikpreis of West German Broadcasting and City of Münster, the Hans Sikorski Memorial Award, and the Prize of Ingolstadt Concert Association. 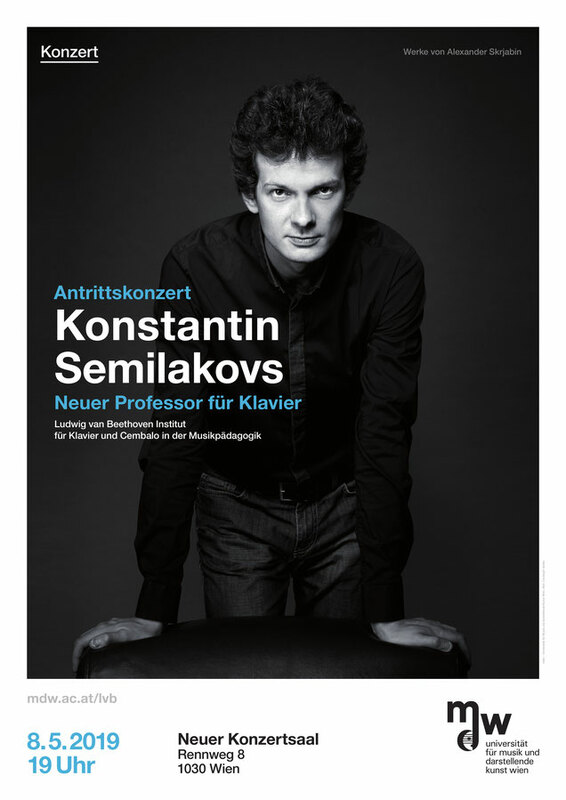 Konstantin Semilakovs studied piano with Wolfgang Manz at the Nuremberg University of Music and with Michael Wladkowski at École Normale de Musique Alfred Cortot in Paris. After teaching positions at the Nuremberg University of Music and University Mozarteum Salzburg, he was 2018 appointed professor of piano at the University of Music and Performing Arts Vienna.